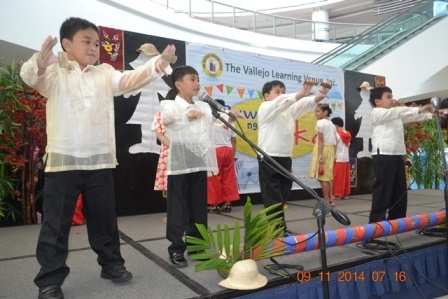 To commemorate in the celebration of the “Buwan ng Wika”, most schools here in the Philippines organize programs and events dedicated to this celebration. Last week, my son got a chance to perform for this celebration together with his classmates and fellow students. It was his first time to attend this kind of event where they dance in a tune of a Filipino song and perform a Filipino poem. What is Buwan ng Wika? 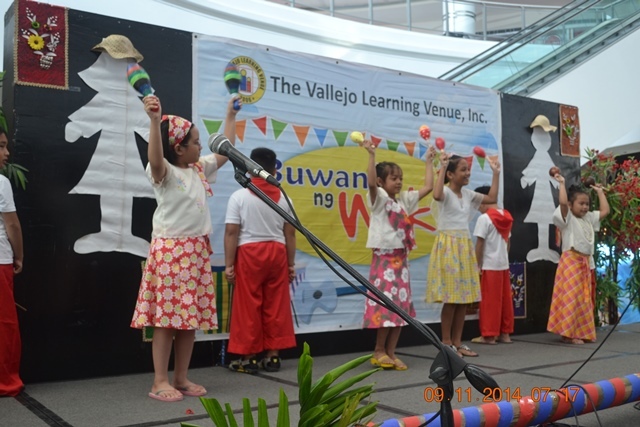 Buwang ng wika is a celebration of Philippine National language month. Based on my experience, Buwan ng Wika is celebrated with different special numbers performed by students highlighting the Philippine tradition and culture through dancing, singing, and interpreting through poetic poems. Pandanggo sa ilaw (Pandanggo is Fandango in Spanish) is one of the popular Philippine folk dance in the rural areas during the Hispanic period. This became popular among the illustrados or the upper class and later adapted among the local communities. This is a dance in 3/4 time or Jota. 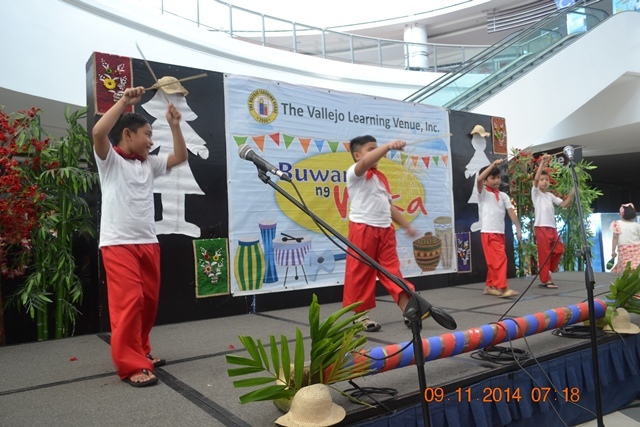 It is said that this dance was originated in Mindoro. A National Artist for Music and a native of Bulacan, Col. Antonio R. Buenaventura, is said to be the one who composed the music in the early 1930’s to which the pandanggo sa ilaw is now commonly danced. Harana is a Filipino tradition in serenading a woman that a Filipino man likes to court. In serenading a woman, traditionally a Filipino man who serenades have companions who play the guitar while they sing together to capture the heart of the woman. Dancing with the use of Maracas. Filipino race is a mixture of different races and influences. One of the influence in our culture is dancing in a rhythm using percussion instruments. Maracas is said to be originated by Latin America. Traditional maracas consist of hollow balls made from dried gourd shell (cuia “koo-ya”) or coconut shell filled with seeds or dried beans and mounted on a wooden handle. Dancing in a rhythm with Castanets. Castanet is another percussion instrument influenced by the Spanish culture. The instrument consists of a pair of concave shells joined on one edge by a string. They are held in the hand and used to produce clicks for rhythmic accents or a ripping or rattling sound consisting of a rapid series of clicks. They are traditionally made of hardwood (chestnut; Spanish: castaño). Also called “Rumble Shakers“. Sakuting dance usually performed by boys, portrays a mock fight using sticks. A sakuting stick is striped or bamboo and is about 1½ feet long and tapered at the end, like a candle. Its original use was for combat training. It comes from the province of Abra. This was introduced by Spanish missionaries as religious ritual, the sakuting dance portrays this struggle between the lowland Christians and the non-Christian mountain people. Pagapir is a Muslim dance from the tribe of Maranao of Lanao Del Sur. Pagaper depicts a royal manner of “walking” among the Maranao people who live mainly around Lake Lanao. Ladies of the royal court perform this stately dance in preparation for an important event. The ladies gracefully manipulate the Aper (apir) or fan, while emphasizing their small steps, or “kini-kini”, which is a sign of good upbringing. 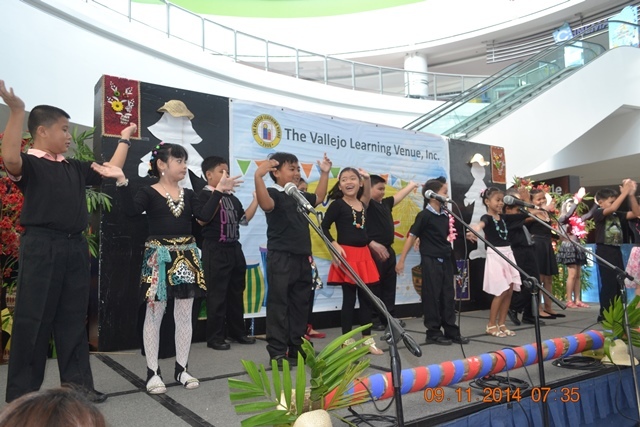 The higher elementary level presented an interpretative dance in a popular Filipino song “Handog ng Pilipino sa Mundo“. This is a 1986 song recorded in Filipino by a supergroup composed of 15 Filipino artists. It became the popular anthem in the bloodless People Power revolution. It is said that the lyrics of the song are inscribed on a wall of Our Lady of EDSA Shrine, the center of the revolution. 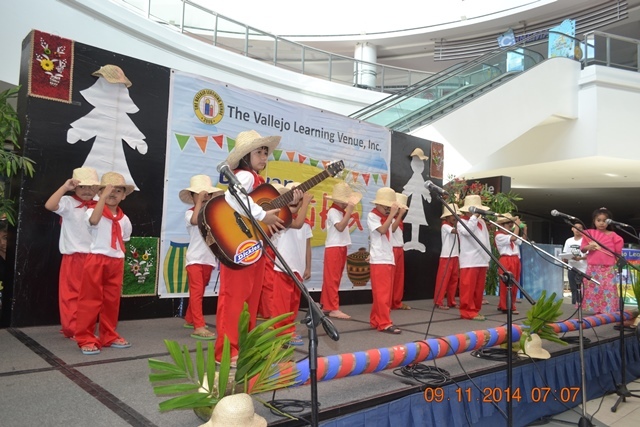 In the photo above, the grade 1 students performed the poetic poem “Kailangan Ka, Pagtitipid“. Each word in the poem is very significant and helps the pupils to be aware and understands what “Pagtitipid” means. Pagtitipid is being thrift, economical, conservation, and using things appropriately. I took a video of my son’s dance presentation of Filipino modern dance in a tune of Ye Ye Vonnel by a popular singer April Boy Regino. Ye Ye Vonnel genre is a pop, OPM song in the year 2004. Enjoy! We’re so happy with this Buwan ng Wika celebration. Each presentation in the program is wonderful and meaningful emphasizing how rich, colorful, and eloquent our Philippine national language was. 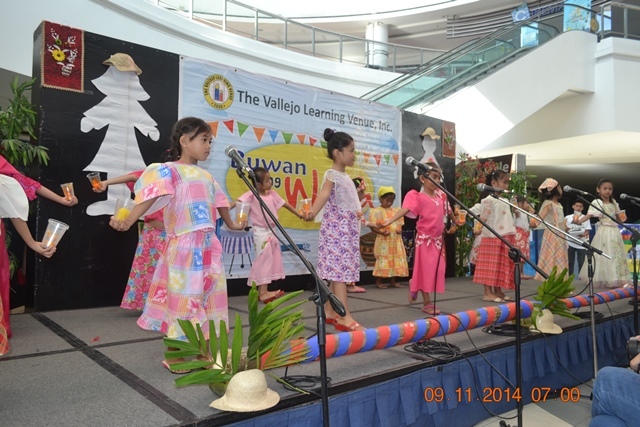 Buwan ng Wika or Philippine National language month is a worthy celebration that we should not miss. 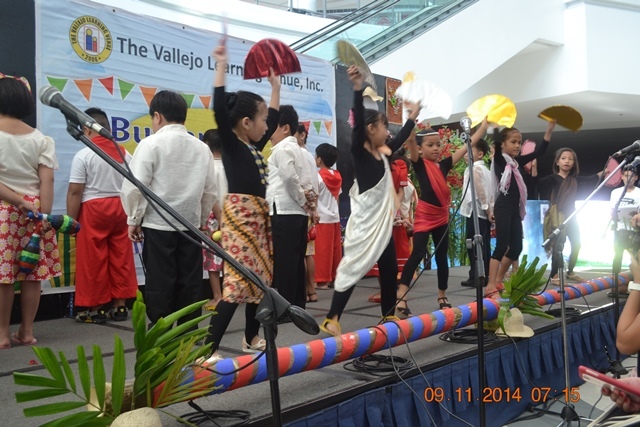 This is my son’s Buwan Ng Wika: Philippine Dance and Culture in The Vallejo Learning Venue Inc.
How about you? 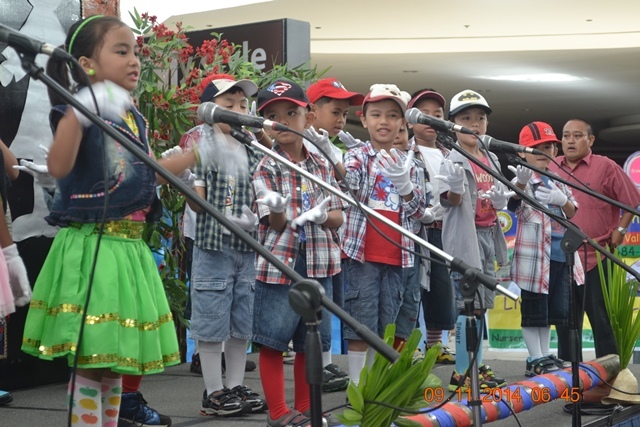 How was your kids’ Buwan ng Wika Celebration? Filed Under: Events Tagged With: Buwan ng Wika celebration, Buwan ng Wika event, Buwan Ng Wika: Philippine Dance and Culture, Linggo ng Wika, Pandanggo sa ilaw, Philippine dance and culture, Philippine national language month, What is Buwan ng Wika?